This easygoing side table is the perfect finishing touch to your outdoor living space. The Jak Wicker Side Table has a unique design that is interesting and eclectic. It will add style and function to your relaxing area. It’s an easy choice because it will pair well with many different styles of lounge furniture. Visualize it next to one of our chunky a-grade teak club chairs or next to a white sun lounger. It features a powder coated aluminum frame that is completely wrapped with outdoor wicker in a sleek woven pattern. Add several of the Jak Side Tables to your living space, they are lightweight, sturdy, and fun to rearrange in your space wherever they are needed. 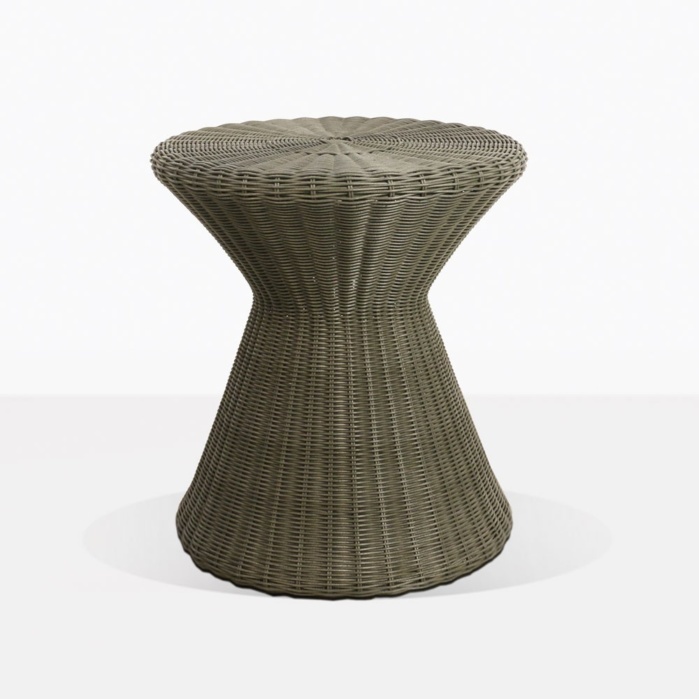 The Jak Wicker Side Table has a geometric pedestal design. 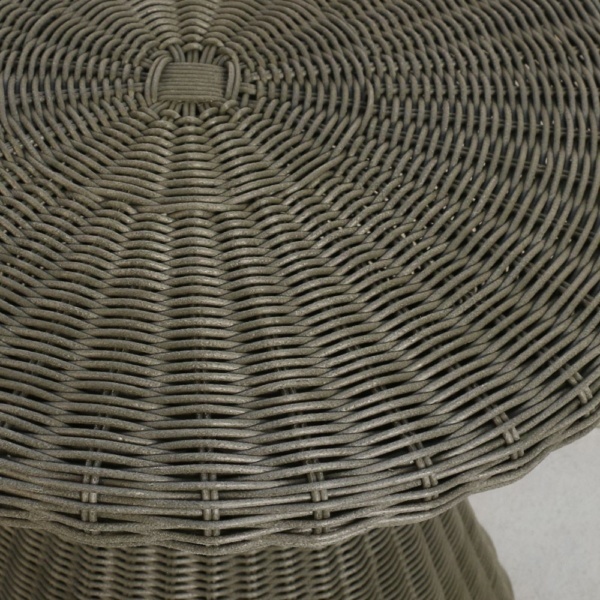 This modern shape is balanced out with the woven wicker. It’s ideal to have furniture that works well in many spaces. It could easily go in a boho chic setting or, a clean, simple seating area that needs just a bit of warmth. This lightweight table is made with synthetic outdoor wicker and a powder coated aluminum frame. These materials are easy to clean and will last long outdoors with proper care. Accent Tables are a great addition to any space whether indoors or out. It always nice to have a place to set your coffee and book within arms reach. Choose from over 100 different styles of accent tables! Shop online today, or give us a call. We are open daily and look forward to helping you create the perfect space for you to enjoy for many years.